Can I receive a referral fee even if I have not contracted through your agency? Well, let’s start with the fact that we are not an agency. 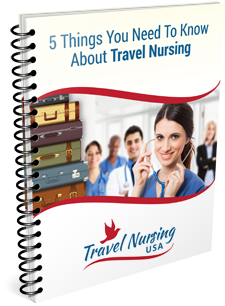 TravelnursingUSA is a resource for you to learn about travel nursing. We have member Agencies that support this site in order to get information to you and MEET you. Getting information from them is as easy as filling out this short form. That having been said, most of our Members pay referral fees. If they do, they are happy to pay you that fee even if you have not taken an assignment with them. They are in the business of meeting qualified people who want to do an assignment, after all.